As you know, GGG have substantially buffed most Ascendancy classes and have been introducing many powerful new poe items. The metagame has already shifted quite a lot due to these changes, so various larger changes have had to take place elsewhere. GGG've called out a few in this article. Ever since we introduced the concept of different Zana levels adding league mods to maps, we have been cycling the mods in and out. While we occasionally run some back to back, we often take crazy ones away to let other ones have time in the spotlight. This one is a little complex, but the TL;DR is that your mods like "monsters deal reduced damage" now actually work properly in a lot more cases. In Path of Exile, there are many things related to the rarity of monsters (Magic, Rare, Unique) that increase the damage of those monsters. For example, a map mod might increase a boss's damage. 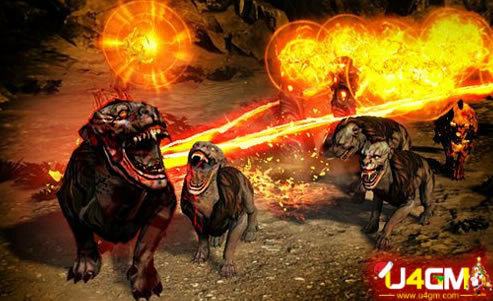 In addition, the rarity of a monster itself adds an intentional bonus to its damage (which is why rare monsters do more damage than magic, and unique monsters do more damage than rare). Historically, these damage bonuses were always intended to be multiplicative (so that they actually had a decent effect), but were implemented as additive. Needless to say, people with Oni-Goroshi can level up very quickly. At its 3.1.0 spawn rate, a popular strategy is to farm the Twilight Strand for four hours to get the sword, and then having an easier time with the playthrough. The increased quantity of items from slain normal enemies has been reduced from 50-100% down to 35-50%. There is now a limit to the number of Sextants you can apply to your Atlas. The base maximum is 1, but this limit is increased by completing bonus objectives and Zana's quests, up to an absolute maximum of 5. Adding Sextants above this limit removes the oldest one. Existing Atlases will keep their Sextants, though applying new Sextants will still remove the oldest one. You can see which Map has the oldest Sextant by hovering over the new Sextant display on your Atlas.